I first discovered the #30Lists gang in August just ahead of the September challenge. I took part back then using the digital pack and shared that at the time. This time though it was different, for me at least; there were still thirty prompts, but I tackled them on paper. Or rather some lovely 4x3 inch decorated journal cards I'd seen and sort of bought on my last visit to Hobbycraft, like you do. Well like I do anyway, that along with Paperchase is a very dangerous shop to me. As I started my Christmas preparations were ramping up and I decided I needed to Christmas-fy some of the cards. Luckily a pre-Christmas visit to the aforementioned Paperchase saw me equipped with some seasonal and glittery Washi tape, as well as some gel numbers, which came in handy. 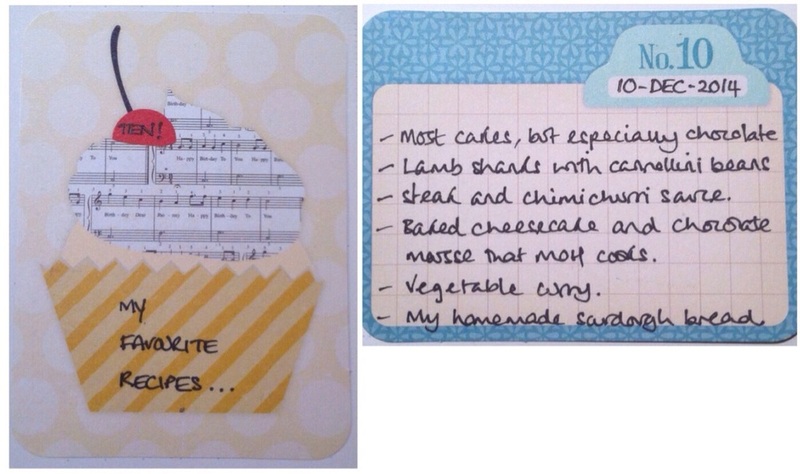 For day 10 I was listing my favourite recipes, so it seemed right to use a card with a cupcake on. And I almost forgot to add sourdough bread to the list, I'm not sure how as I make it at least twice a week. You'll know already this has been a different year for me and to be honest I've had a blast, I expect things to change again in 2015, but I know I won't regret this year, or anything that makes me smile. I couldn't miss out Christmas Day from this round-up and thankfully I remembered to put everything in, and take everything out of the oven and in the right order on Christmas day, so that was something. Sadly this year has seen more losses than I remember previous years, but on a happier note I still have my memories. Unusually prompt 27 was all about Boxing Day - we had our parents round for lunch and I think the tablecloth definitely came off worse! 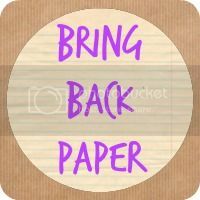 Completing this challenge on paper definitely increased the amount of paper and paper-related fun - at a time of year when paper seems to make its own comeback, with Christmas cards arriving daily. This month I'm sharing two posts with Jocelyn's PaperyPeep this one and my homemade Christmas cards as I've definitely experienced an influx of paper this month!